The Marlboro Police Department maintains its own emergency communications center. (Also known as the Police/EMS/Fire Dispatch) The Communications Bureau is a fully staffed unit that operates 24 hours a day, 365 days a year. 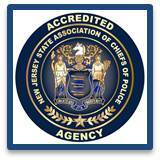 It is a civilian position certified through the New Jersey Department of Personnel. All communications employees are under the supervision of the police department’s Operations Captain. The Communication Center can be manned by up to 4 operators at one time. They are responsible for all non-emergency calls that come into the police department as well as 9-1-1 emergency calls. They monitor 6 radio frequencies and dispatch the Township’s three (3) fire districts and two (2) first aid squads. They are a PSAP (Public Service Answering Point) for the 9-1-1 system handling over flow calls for other jurisdictions and directing them to the proper authorities when required. They also monitor a direct connect alarm system for those residents that are connected into the police department alarm system. The telecommunicators also monitor a security camera system that is in place throughout the police department and township municipal complex. All operators go through a Basic Telecommunicator course and are certified in Emergency Medical Dispatcher (EMD). There is additional training throughout the year and annual recertification requirements for the position. Please remember that 9-1-1 is for emergency use only. All other calls please use the non- emergency number (732) 536-0100.